When it comes to residential doors you’re going to have even more options. That’s because the front of your house is important to you. 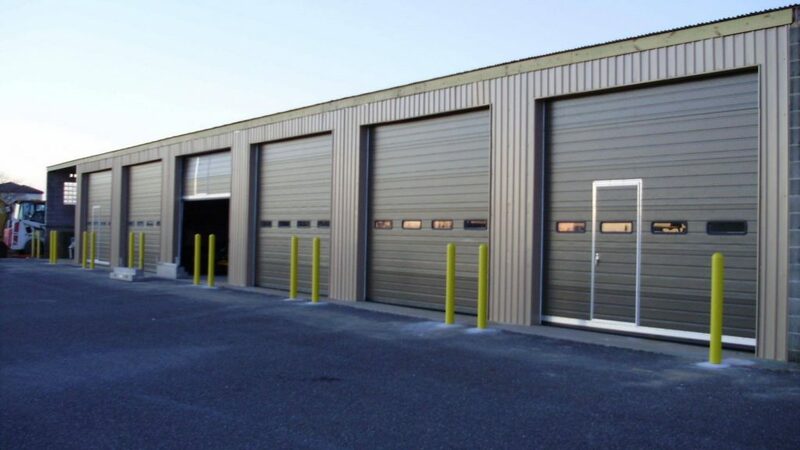 Commercial doors are available in insulated and non-insulated options. You can choose ribbed steel pan and pan-insulated doors. When was the last time that you tried to get into your garage and couldn’t? Are you in that predicament now? Maybe your garage door opener doesn’t work. Maybe the door came off the track or maybe it was damaged in some way. Maybe your rollers or tracks are damaged and so the door doesn’t always roll properly. Maybe you could get into your garage but you don’t really like the way your garage door looks. There are a number of different things that could be going on with your garage door, and that’s why you should be looking for a garage door repair company to help you get things back on track. But it’s about more than just getting your door fixed up. Let’s start from the beginning. If you’ve just built a garage in Norfolk or you’re looking to change out the door on your existing garage, you want to make sure you’re getting something that looks great, right? That garage is going to be part of how the Virginia Beach community sees your house or business every time they drive by and a not so great garage door is definitely going to detract from the look you want. The great thing is, you can find some amazing looking doors made by garage door companies like C.H.I., Haas Door, Wayne Dalton, Rollup Door, Ammar and Overhead Door, which are what we work with. If these names don’t really mean anything to you don’t worry about that. What you need to know is that they make high quality doors that look great and last a long time. That way, you don’t have to worry about replacing your door again. All you have to figure out is the exact style that you want so you can get your door (or multiple doors) installed right away. Of course, that may sound a little daunting, but it doesn’t need to be. Sure there are a lot of options, but that’s going to be part of the fun of it all. There are aluminum full-view doors, rolling doors, counter shutters, fire doors and sandwich doors. You can get doors with windows or solid panels. Not to mention you can choose a range of different colors for the door you want, automatic or manual opening and of course different sizes and shapes for the windows that you want. When you decide on a commercial door you want to look at a range of different factors. The first, is what you’re going to be doing in your commercial space. Someone with a warehouse that often receives deliveries or sends out products is going to need a different type of door than someone who runs a taxi service or a restaurant. Once you know what type of vehicles are going to be going in and out of the door and also what else is going to be inside, you’ll be able to figure out the style of door and even the size of door that you need. Next up, you’ll want to decide whether that door should be a manual or an automatic. Automatic doors can be extremely convenient, because obviously with a push of a button you can open it from either side. Plus, if your drivers have a garage door opener no one on the inside of the building even needs to know when they’re pulling up, they can open the door themselves. On the other hand, a manual door can be less expensive and you never have to worry about the power going out or the battery on the remote dying. Your door can be opened with a cord at any time. So, if you’re looking for a standard steel or aluminum door that either rolls up manually or with a garage door opener, you can find them. If you’re looking for carriage style doors, barn style doors or something completely unique and custom you can find those as well. You’ll also get to choose between handles and decorative accents, windows of all different shapes and sizes, and colors that match anything in the rainbow. That way, your garage looks like the perfect extension of your home. For some, a garage door is simply functional and you might want one that is simple in design and just works. For others, it needs to be elegant, stylish or something else entirely. Luckily for you, there are doors that match any and all of these things. Simple steel or aluminum doors in a standard white are always available, but they’re also available in colors, just in case you want to be a little bolder with your choice. Doors with all sorts of accents are also available, to make sure that your door can be unique and show off your personal style. Whether you need something for a single-car garage, a two-car garage, or something larger, and whether you’re looking for small doors or large ones, you can get all the design features that you’re looking for, and you can get them in manual or automatic garage doors. The key is just taking a look at the options. That might mean flipping through our catalogues or looking online or just driving up and down the streets in your neighborhood to find out more about the specific style of door that you want. No matter what you like, we can help you find it. But, what if your garage door is already beautiful and perfect, just not working properly? If that’s the case then what you really need is a garage door repair company. Luckily for you, that’s exactly what you’ve found. We can take care of absolutely any garage door problems you might have, whether you’re looking at a commercial or a residential door. That’s because we have a whole lot to offer when it comes to our team, our knowledge and our experience. Garage door repair in NC could take on a range of different forms, so, just what is it that you’re looking for? Do you have a door with broken springs? Maybe you have damaged panels from an accident or from the weather. Maybe you have broken cables, damaged rollers, a broken opener, or your door is totally out of its tracks. One Trip and Your Garage Door Is Fixed! No matter what seems to be the problem, we can come out the very same day that you give us a call. Even better for you, we’ll bring a fully loaded truck, which means we can take care of the job with just one trip. We carry everything that we could possibly need to make sure your door is back up and running the way it should be by the time we leave. Garage door openers can often go bad, or stop working or have any number of problems as well, and we can take care of those too. In fact, we work with and sell brands like Lift Master, Genie, Craftsman, Stanley, Chamberlain, Overhead, Linear and Wayne Dalton, some of the best known and best quality options around. But we also work with any other brands you might already have. So, whether your opener has been broken, lost or just seems to not be working the same, we can take a look and get you back running again. We can take care of the controls, the programming and sensor problems so your garage door opener will be running like new. No one wants to be without their garage door any longer than necessary and we definitely get that. We know that you have more important things to do with your day and definitely with your week. No one wants to wait around for a repair company to come out then come back multiple times to actually get the problem fixed. That’s why we do it all at once. The truck is stocked with a little of everything, so whether you need a minor repair or a major one, we’ll have the things we need to evaluate, get started and finish up. Even if all you need is a little routine maintenance and not a full garage door repair, you’re going to have the right team to help you. 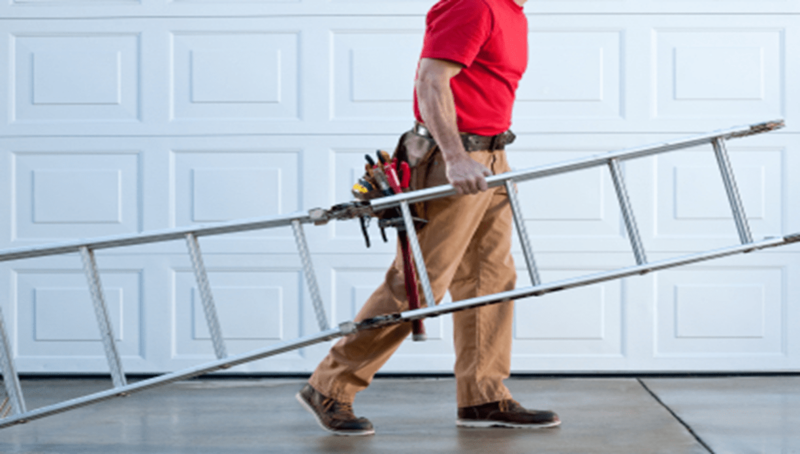 Tune-ups and inspection can be just as important as anything else you do for your door, because these can help you head off problems before they even start. They can help you make sure that garage door is always going to be running right. After all, you go to the doctor to get wellness checks, don’t you? Why wouldn’t you want your garage door to have a wellness check before something breaks, too? Plus, we do repairs any time of the day or night. Our services are available 24/7 because we know that sometimes emergencies come up and your long road trip might end with coming home to a broken door. We can get to you right away to help with the problem. Plus, we even have evening and weekend hours with no additional charge, because we know you’re busy during the week and you definitely don’t want to pay extra for that garage door repair, right? We are the best garage door repair and garage door installation company in Norfolk, Virginia, providing you with the quality that you expect at every turn. Whether you’re looking for something simple or something major, we are the team that you’re going to want to have on call. General garage door maintenance, services, repair, installation and a whole lot more are no problem for us, and that means you can have one number stored to take care of absolutely anything related to your garage door. How easy is that? Each and every technician that we hire is not only licensed and insured, but the best person for the job. We can service, repair and sell any brand of garage door or opener that you want, so if you’ve already done the research on what you like best or if you already have a door or opener, we can take care of it. All of our technicians are prepared for just that. And they’re all professional, friendly and courteous. You don’t want someone around your house that’s unfriendly, after all, right? So we make sure our crew takes care of your home, your yard and any of your belongings they might need to interact with the same way they would take care of their own. What you really want, however, is a service that gives you prices you can afford and quality that you can trust. We make sure our rates are always reasonable and, to make sure you know you can trust the quality of our work, we offer a lifetime warranty on all of our garage doors and openers. That means you can be confident when we leave that the door or opener that we’ve installed is going to keep working for you, for as long as you need it or want it to. What could be more reassuring than that? As a locally owned and operated business, we are part of your community and we couldn’t be happier to support those around us. We want our community to look great and we want everyone within our company to know where they can turn, no matter what services they need. 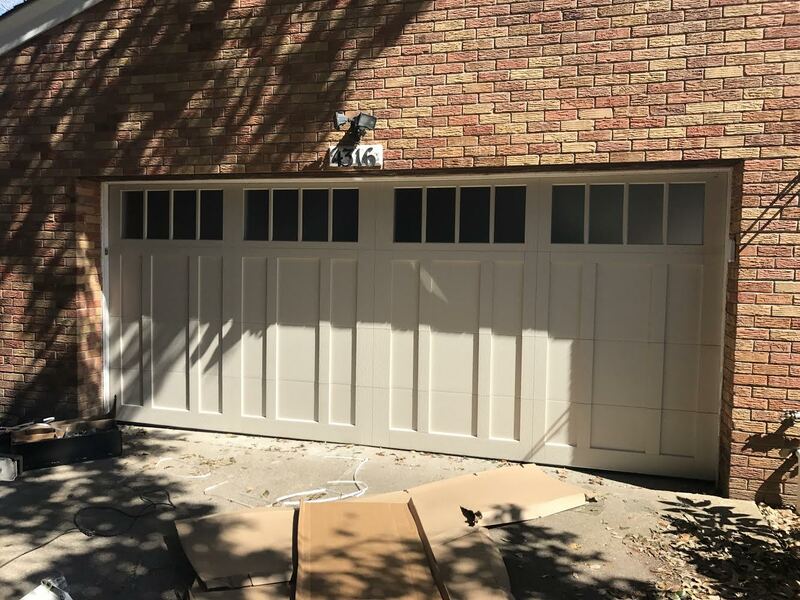 Your garage door is an important part of your business or an important part of your home, and we want to make sure that it continues to look and function just as great as the day that you first had it installed. You never need to be without your garage door or your garage door opener again. All you have to do is give us a call to find out how to make that happen!